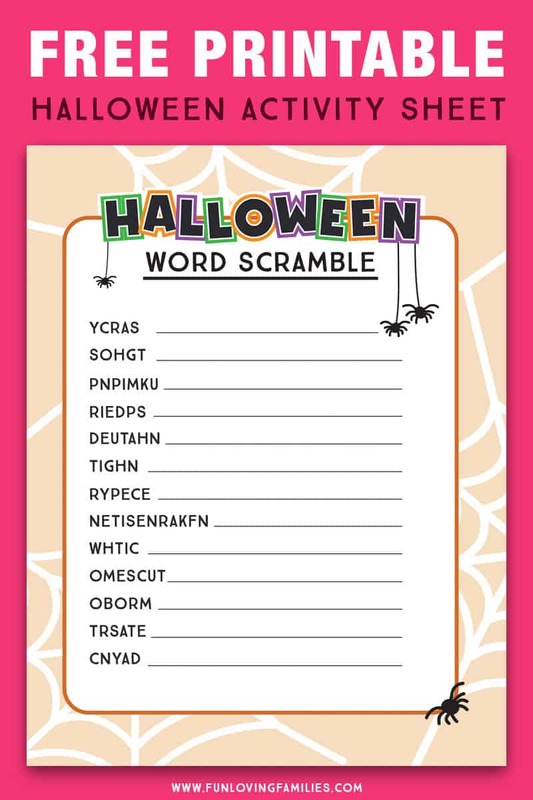 Here’s a fun Halloween game for all ages. 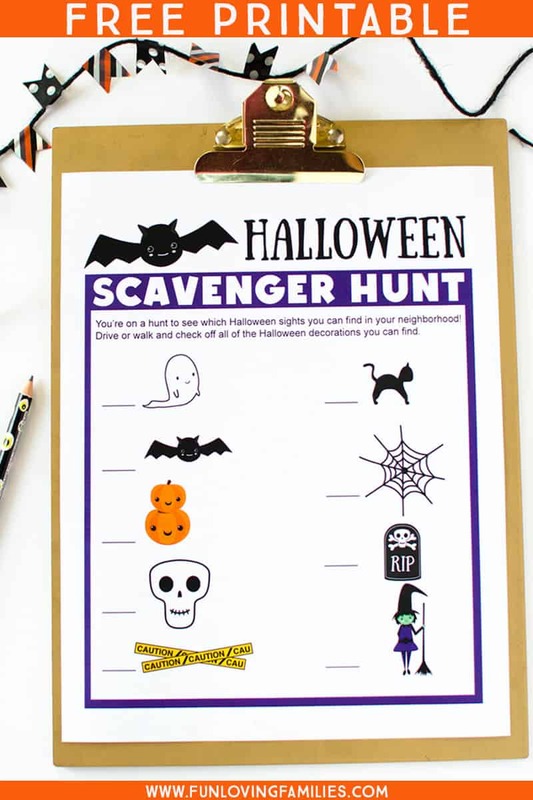 Use our free printable scavenger hunt lists and go on a Halloween scavenger hunt throughout the neighborhood! A couple of years ago we moved into a neighborhood that really gets into Halloween. From the spooky and gory, to the whimsical and funny, it’s all there, and it’s seriously so much fun to see it all. We always spend a night during Christmas-time going around to look at the lights and decorations, but last year we did the same thing for Halloween! We’re already seeing the ghosts and goblins popping up around the neighborhood, so I’m planning a fun night on Halloween Eve where we can go around and see all there is to see. 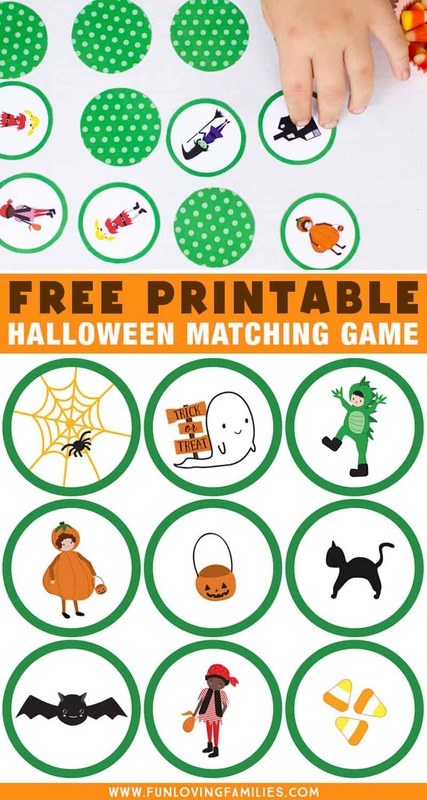 This is a really fun activity to plan for a Halloween party with kids. You can either all go out together, especially if you have little ones. 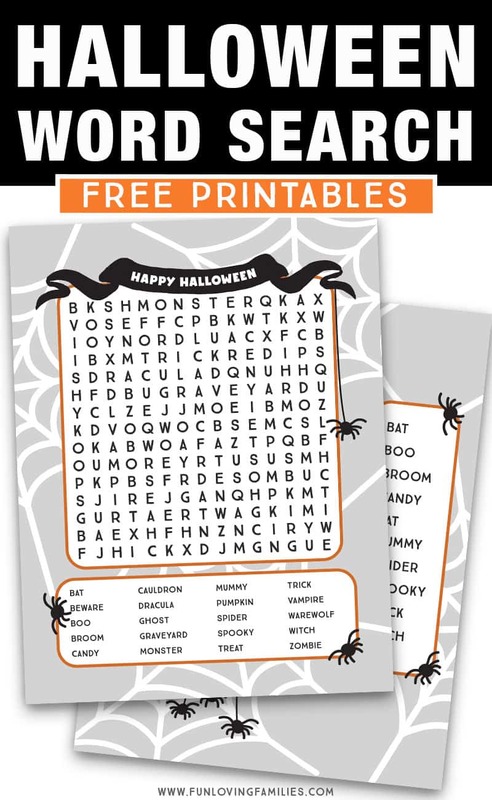 Or, you can send older kids out in teams competing against each other to find the most Halloween decorations. Have them bring their cameras or phones to take pictures of the items they find on the list! 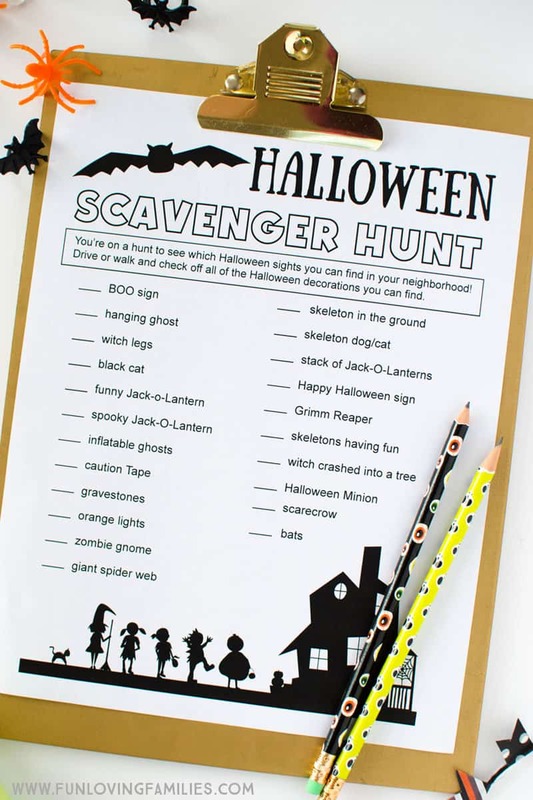 For us, I plan on doing this Halloween scavenger hunt as a fun family activity. 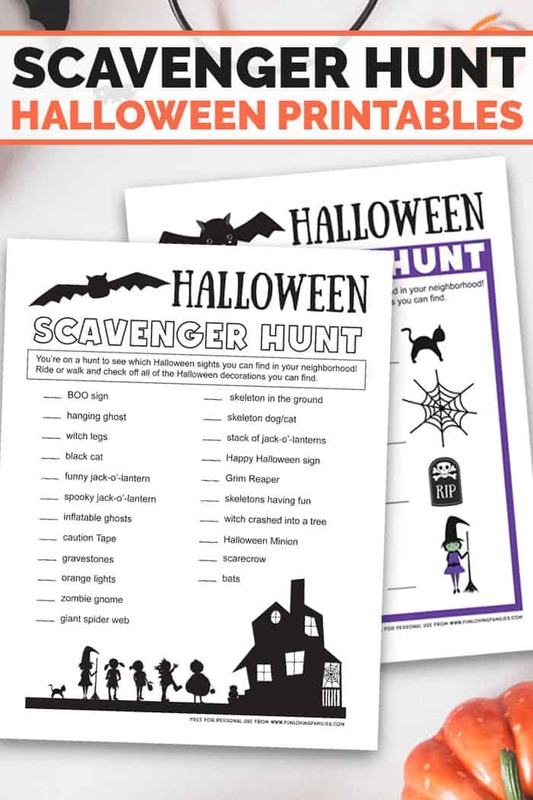 I created two scavenger hunt printables for families to use. One is more perfect for preschoolers, or pre-readers, since it only has pictures. 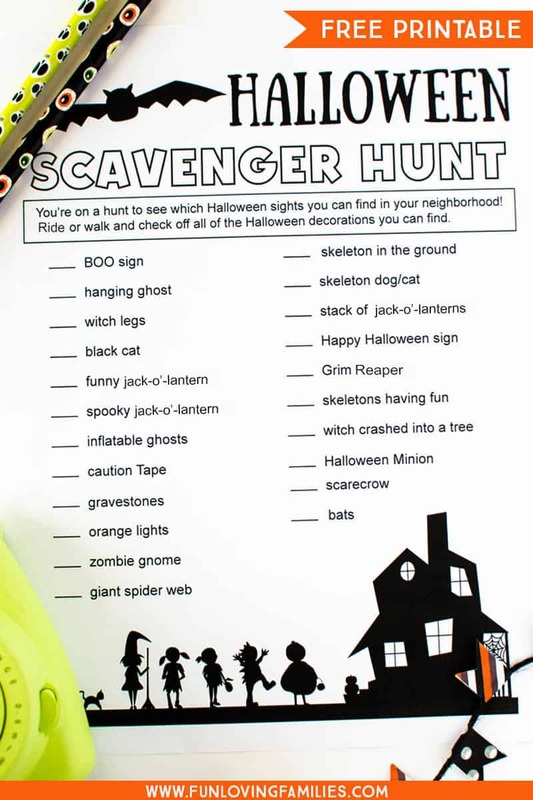 The other scavenger hunt printable is better for older kids who can read. This is the one we’ll be using with our two tweens. It has more items on the list to find, and some items are more challenging.